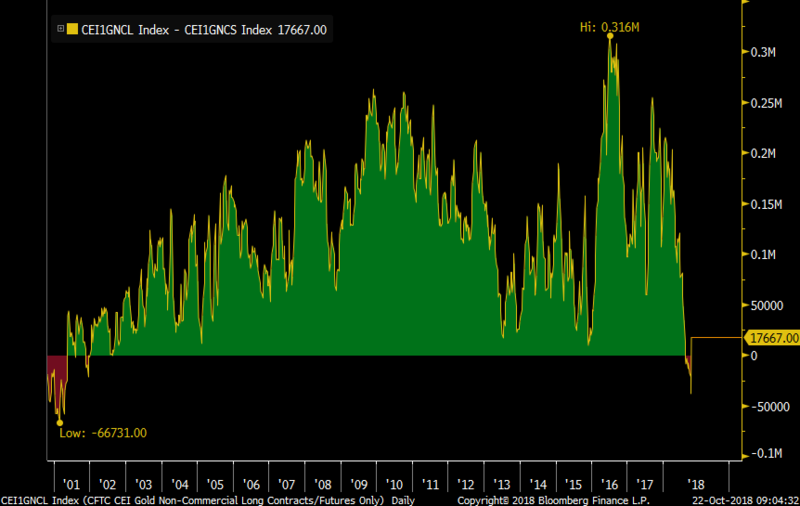 For those paying attention to gold, the net speculative position as of last Tuesday, according to Friday’s CFTC data, went net long for the first time since August 7th. After nine weeks of shorts that got to the most since 2001, the net position went from 38k contracts short to 17k long. In mid-August when the net short position was first established for the first time in 17 years, gold was exactly $1200 vs today’s $1226 level. Extremes in net positioning aren't always a perfect contrarian sign but usually a good one.